I was told as I grew up that Christianity is a relationship, not a religion. It's about having a relationship with Jesus, not about following rules. It would seem, then, that I was not raised with legalism, right? Wrong. You see, my parents do not believe that Jesus would tell one person one thing and someone else something else. 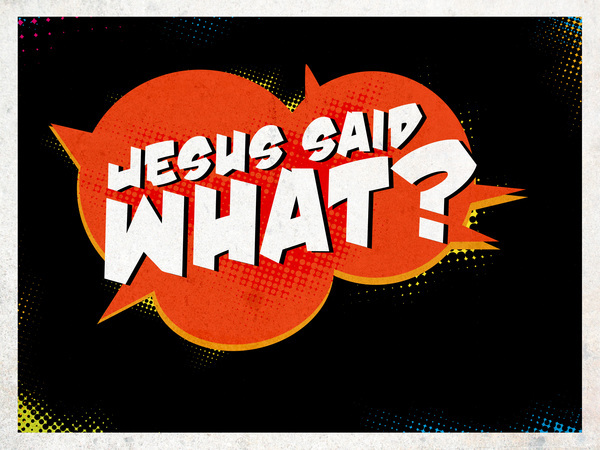 What Jesus says to one person in a given situation will not contradict what he tells another person. So since Jesus told my parents to hold certain standards of modesty, that adult daughters are to remain under their father's authority, and that women should be homemakers and not have careers, well, he will tell everyone else the same thing. It seems to me that if Jesus were real and really had a relationship with every Christian, then Christians would agree on matters of doctrine and practice. In practice, then, anyone who doesn't hold the same beliefs as my parents isn't listening to Jesus. My parents would argue that it's not about rules. It's just that anyone who has a relationship with Jesus, reads the Bible, and listens to the Holy Spirit will come to the same conclusions about things like male authority, modesty, and courtship. It's not rules. It's a relationship, a relationship with Jesus. Therefore, when I started to question young earth creationism and, eventually, Christian patriarchy, my parents told me that I wasn't listening to Jesus, that I was listening to the world. The strange thing is that I had never felt closer to Jesus and more in his will than I did then. At the time I was questioning my parents' beliefs, I was walking hand in hand with Jesus. I read the Bible and poured out my heart to Jesus, and I felt the Holy Spirit urging me to make my own decisions and follow what God wanted me to do rather than what my father wanted me to do. As I walked through the pain of leaving my parents' beliefs, Jesus lead me to Catholicism, and comforted me when it all seemed to big for me, he wiped my tears and he held my hand. My parents cannot fathom this because it would mean that Jesus was telling them things completely opposite from the things he was telling me. The way they see it, I put my fingers in my ears and stopped listening to Jesus. The truth is, my parents don't think they have rules. They don't think they were ordering me to follow rules. They think that they were simply urging me to listen to Jesus, and that if I had listened to Jesus he would have told me to do the same thing they were saying I should do. Except that I was listening to Jesus and he was telling me something very different. The fact is that imposing what you believe Jesus is telling you on others is a form of legalism. But there is a bigger problem here too. How are we to understand that Jesus tells some people one thing and others another? How are we to account for the fact that there are eleventy thousand different Christian denominations with eleventy thousand different beliefs? How are we to account for the fact that Jesus tells some people told hold one standard of modesty and others to hold a different standard? how are we to account for the fact that Jesus tells some people to wear head coverings and others that they don't need to? Why would Jesus tell one person one thing and the other another? Have you ever noticed this? Perhaps because he does not exist and is for all practical purposes merely simply a figment of our imaginations. It seems to me that if Jesus were real and really had a relationship with every Christian, then Christians would agree on matters of doctrine and practice. I was taught as a child that Jesus lives in the heart of every Christian. If this was so, why would he allow there to be such horrible disagreements between denominations and even family members? Wouldn't Jesus tell every Christian the same thing? Before his death, didn't he call for agreement among his followers rather than division? Isn't he supposed to be all powerful and all knowing? Isn't he capable of communicating the same ideas, beliefs, and practices to all of his followers? Something does not make sense here. When I left religion, it all suddenly made sense to me in a new way. The way I see it, sincere and devout Christians disagree about what Jesus is telling them because Jesus is not real. This explains perfectly why sincere and devout people equally seek Jesus' will and come up with different answers. It seems to me that the Christianity we would see if Jesus were real would look very different from the Christianity we see today, with all of its division and disagreement. I see only two other options. First, you could conclude that Jesus tells different people different things. To me, though, that just seems odd. Why would Jesus contradict himself? Second, you could simply adopt my parents' interpretation and believe that you are listening to Jesus and that any who disagree with what Jesus is telling you is not. But isn't imposing what you believe Jesus is telling you on others simply another form of legalism? Or is there another understanding to be had? I personally don't see one, but maybe I'm just missing it.